How the Maltese involved people with disability in Article 33 monitoring of the UNCRPD. Malta ratified the United Nations Convention on the Rights of Persons with Disability (UNCRPD), and the Optional Protocol in 2012. At this stage a Focal Point Office was created within the Parliamentary Secretariat for the Rights of Persons with Disability and Active Aging. This Focal Point Office was responsible for liaising with other Government departments and Ministries, Disabled People’s Organisations (DPOs), Non-Governmental Organisations (NGOs) within the disability sector and professionals working in the disability sector to create a National Disability Policy reflecting the UNCRPD articles and then create an implementation strategy to implement the National Disability Policy. The National Commission for Persons with Disability (NCPD) had been established in the Equal Opportunities (Persons with Disability) Act 2000 as the entity which could protect the rights of persons with disability with regard to discrimination encountered due to impairment in a number of areas including employment, education, goods and services, housing, insurance and accessibility. When the UNCRPD was ratified, the National Commission became the Commission for the Rights of Persons with Disability (CRPD) and took on the role of being the regulator for the disability sector and implementation of the National Disability Strategy. As an independent entity, the Commission expanded its role to include complaints made by persons with disability relating to the articles in the UNCRPD as well as those in the Equal Opportunities Act. CRPD is run by a Commissioner and a Council which is largely made up of people nominated from DPOs and NGOs in Malta. There is also a representative from the two main political parties in Malta, a representative from the church and a representative from the University. At least 50% of the council must be persons who have an impairment or their parents. CRPD has 30 employees, 16 of whom have a diverse range of impairments. It is very important that CRPD has a high contingent of employees with different impairments, as this shows other employers in Malta that persons with all sorts of impairment are capable of working. This also allows CRPD to have a pool of disabled people who can give their opinion on issues that arise within the disability sector and contribute their feedback to policy documents. It is essential to CRPD that disabled people are able to give their opinion and have their thoughts heard, particularly on matters that will directly affect them. With this in mind, and in compliance with Article 33, CRPD holds regular meetings with representatives of DPOs, their parents, representatives of disability NGOs and other interested parties to discuss issues in the disability sector, legislation, and policy formation in Malta. After listening to the disabled people we met, we set up meetings so that persons with intellectual impairments could give their opinions in a separate meeting from persons who had sensorial or physical impairments. This was seen as important, as everyone who attended these meetings felt that they would be more comfortable giving their opinions and thoughts with this set-up rather than within a combined group. These meetings have produced some surprising findings, some of which are in direct opposition to some of the articles in the UNCRPD. An example of this was where a Government Policy stated that residences for persons with intellectual impairments should be small. The meeting of persons with intellectual impairments stated very forcefully that they would much prefer to be housed in a residence with many other people who had similar impairments, and certainly felt that the small number suggested in the policy was too few. In this way, some confusion was caused when these opinions were fed back to the Government as to whether the UNCPRD article or the voice of persons with intellectual impairments should have supremacy. This highlighted to us that the UNCRPD, which was written largely by persons with physical impairments, did not necessarily reflect the opinions of persons with intellectual impairments, and a compromise position was sought. Legislation passed in the last two years has all been scrutinised by these groups and the CRPD council. This includes a Blue Badge Act, the Maltese Sign Language Recognition Act, the Persons within the Autism Spectrum (Empowerment) Act as well as the amendments to the Equal Opportunities (Persons with Disability) Act mentioned earlier. Currently we are working on the drafting of a Supported Decision Making Bill and the Adult Protection Bill. These pieces of legislation have arisen from areas of the UNCRPD where it was felt by CRPD and the disabled people we consult with there was room for improvement or recognition. CRPD have seen that as these pieces of legislation are passed, parts of Maltese society began to move with us. An example of this is that after the Autism Act was passed, the University passed new regulations to take into account the specific needs of persons with Autism when considering its admission and course programmes. In this way the CRPD is consulting with disabled people and passing legislation and policies that we hope will empower disabled people in the Maltese Islands and enable them to be more fully included in all aspects of Maltese Society. 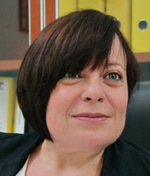 Rhoda Garland is Executive Director of the Commission for the Rights of Persons with Disability in Malta. Originally from the UK, Rhoda was born with Spina Bifida and after working as an accountant, she moved to Malta in 2006 getting involved with an NGO called Breaking Limits, which was made up of people with a diverse range of impairments. 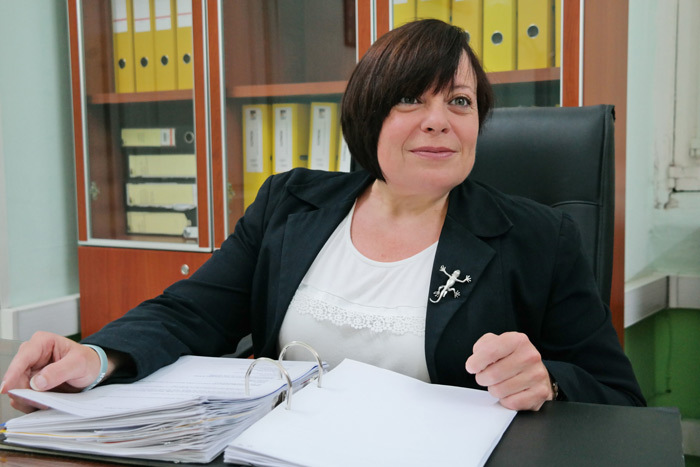 After reading for a Master’s degree in Disability Studies she was asked to research and write the first Maltese State report on compliance with the UNCRPD. Following this she moved to the Commission for the Rights of Persons with Disability as a consultant / Project Manager and became Executive Director in 2014.